A table runner is a great way to add a little more personalization to your wedding. It can be used on the sweetheart table, the gift table, the guest book table, and one of our favorite places--the cake table. 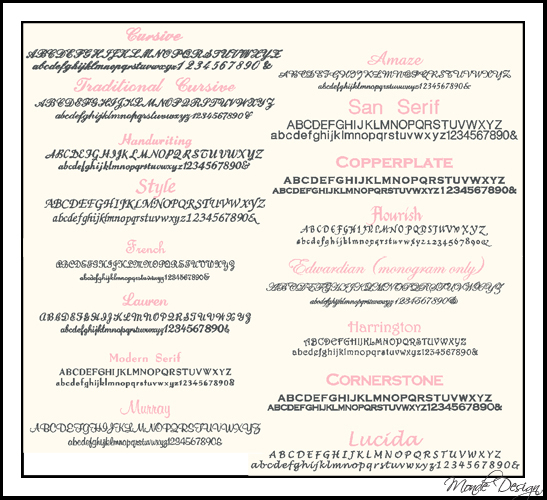 You can choose a monogram, or a name for the runner, and the date can be added also. This is a great item that can be reused during the marraige, or even placed permenantly in the couples new home. A delicate hemstitch pattern lines the edges of this elegant white linen table runner. Navy cursive embroidery shown. 16" x 54"
Tablecloths are also available. Tablecloths or runners can be used as a modern twist on the guest book. 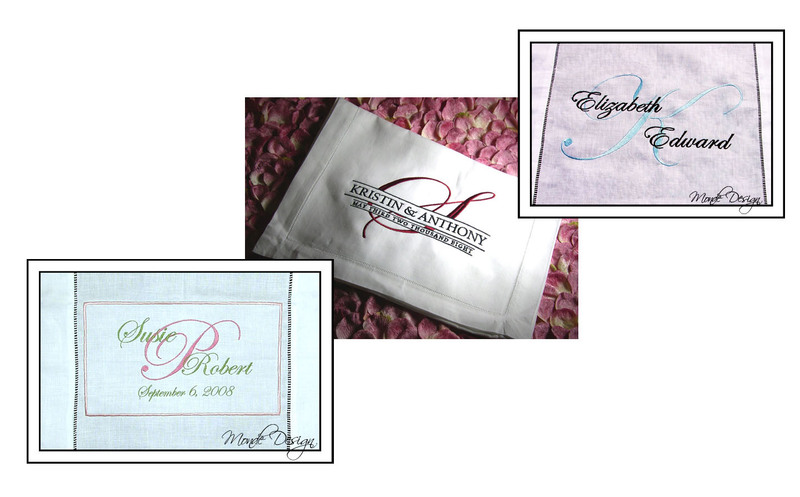 Permanent fabric markers can be used for guests to sign on the cloths, and can be a treasured item you bring back out on anniversaries. Please note for embroidery: For a married monogram, typcially the order of initials is Bride's, Married Last name, Groom's. If doing first names, traditionally the bride's name goes first. What would you like embroidered?